Ausred Genetics (Karen Moroney) and Ausxross Genetics (Steve Snowdon) have teamed up to form AUZRED XB. Our company specialises in crossbreeding. We have conceptualised crossbreeding under the name of Quantum Leap which is a three-breed rotation of crossing against the more traditional two breeds.We have 60 years experience between us, specialising in the red breeds and the Montbeliarde breeds. We bring this wealth of experience to our clients when it comes to chosing the best bulls to to use in a rotation in individual herds. Contact Auzred XB to receive the right advice for crossbreeding in your herd based on your goals. We look forward to working with you all. In 2002 they were given the opportunity to purchase the family farm and today they are milking 200 head of Aussie Reds. In recent years, they have also developed a highly successful tourism venture on the farm, "Red Oak Farmstay" which has been a rewarding addition to the farm business. Since 1989, Karen had also been running the families other business interest, known then as, Ausred Genetics a publishing and import agency that was origionally the "brainchild" of her father William (Bill) Thompson, who specifically specialised in red and white dairy genetics. Their publishing interest, the Red Cow Magazine was the magazine that put many red breeds of the world "on the map" in an unbiased format. 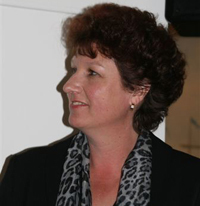 Karen is also the Executive Officer of the International Red Cow Organisation, an important vehicle for red breeds of the world to come together at regular intervals, somewhere around the globe, to network, share information and knowledge on breeds and breeding. 2008 was a particular milestone for Ausred Genetics as the company moved from agency status to distributor of the products it represented, this "leap of faith" saw Karen expand the business and product sales base to be a successful small business in what is a challenging and often unpredictable industry. With the increased interest in crossbreeding and having the knowledge on the breeds that have proven to be the most profitable in a three way cross, Steve and Karen saw the opportunity in 2011 to form Auzred XB - their aim is to provide farmers with the best independant advice and options from the best genetics available to them. They look forward to the journey ahead. Steve is Auzred XB's Crossbreeding Specialist and Farm Advisor on crossbreeding. With 30 years of milking and breeding cows, and now nearly 19 years of personal 3-way crossbreeding experience behind him, Steve has rapidly become a well know face in the dairy industry, and a respected authority on 3-way rotational crossbreeding. He has spoken and presented papers on “Crossing to Swedish and Aussie Reds” at the Dairy Research Foundation Symposium in Sydney, “Cows & Systems” at the Victorian Dairy Conference. He was also one of the guest speakers at the Australian Dairy Conference in Tasmania and presented his paper on “Going with a 3-way cross”. Steve has also spoken at many crossbreeding information days with Professor Les Hansen, one of the worlds leading authorities on crossbreeding. Steve operates a 450 cow farm at Tyers in Gippsland, where 60% of the herd is 3-way rotational crossbred using Aussie Red/Scandinavian Red, Jersey, Holstein and Montbeliarde breeds and 40% of the herd is Purebred Aussie Red under the banner of the "Meriben Park" Aussie Red Stud. 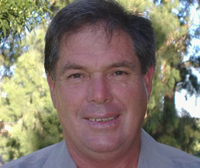 Steve is also a past President and Feild Officer of the Australian Red Dairy Breed, giving him a wealth of experience with the Red Breeds and how best to use them in your crossbreeding program.